Do you have patriotic pups? Happy Fourth of July! Treat your furry friend to a star spangled celebration, complete with Pet Factory USA-made beefhide chews! Independence Day is a special day here at Pet Factory, where we celebrate our common heritage as Americans. We enjoy time off work with our pets and family, attend parades, barbeques and picnics, and ooh-and-ahh! over colorful fireworks displays. We include our furry friends and do our best to make it a safe and enjoyable celebration for the whole family. 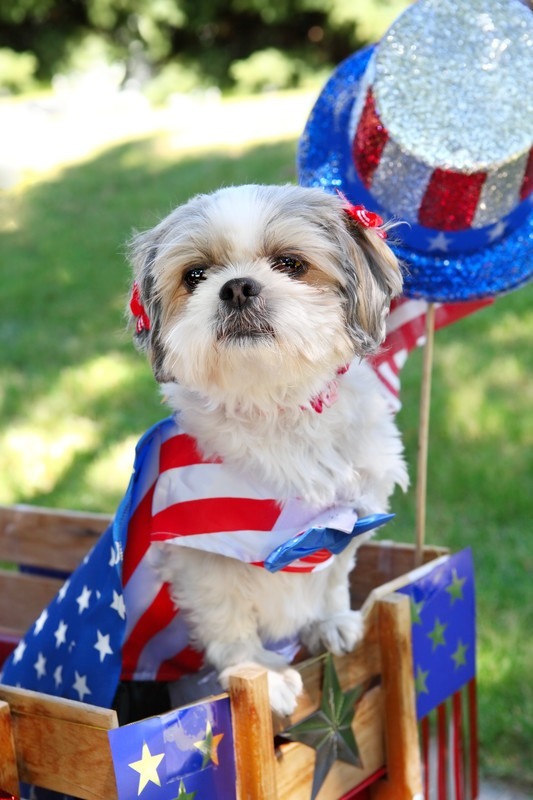 Host a festive neighborhood Patriotic Pup Parade. Include your pup in a star spangled backyard picnic or barbeque. Enjoy a refreshing splash in the pool with your furry friend. Play some fun USA-themed games together. Dress your pup up in red-white-and-blue for a patriotic look. Treat them to delicious, long-lasting USA-made Pet Factory beefhide chews. Many dogs enjoy the festivities on the Fourth of July. Have a fun and safe Independence Day with your patriotic pups! Include them in all the activities they enjoy and be sensitive to their unique needs. Most importantly, keep it safe. Is your dog the gregarious type who can’t get enough of people and other pups? Take them to the parade or on a nice long walk. Enjoy parties and games together. Visit the dog park and let them run free. Reward them for good behavior. Perhaps your doggo is the quiet type and prefers time alone with you. Celebrate in a quiet way with a cozy snuggle, pampering grooming session, or a well-deserved nap. 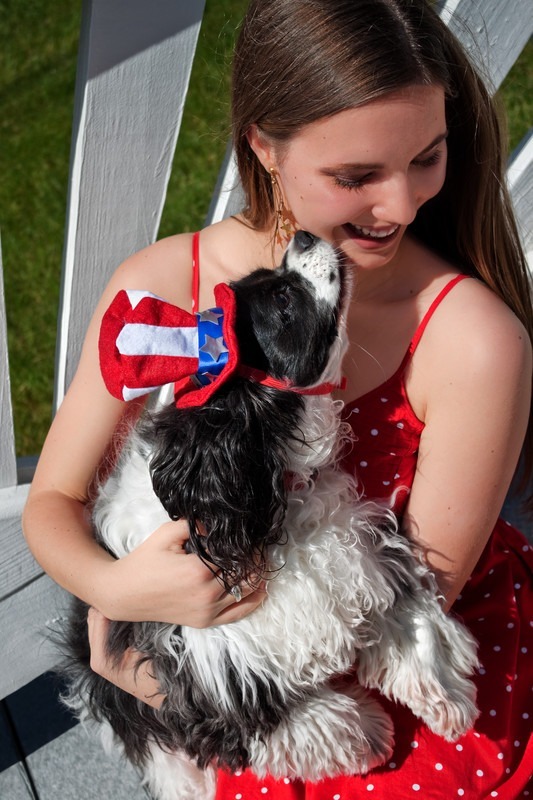 There are many ways to celebrate the good old USA with your patriotic pups – do it your way! Have a fun and safe Independence Day with your patriotic pup! Be proactive. Keep your pup busy and active during the daytime, so they are worn out by nightfall. Plan to stay home when fireworks displays are scheduled. Make sure your pup has an ID tag or is microchipped for identification. Bundle them up like a baby and give them a loving hug. The firm pressure and your constant presence can be reassuring to a panicking dog. Some dogs do not want to be held, so respect their needs and just stay close by. Pups may feel calmer in a “safe” place, like an interior room or basement where it’s quieter. Close doors and windows. Stay away from windows and open areas to reduce the impact of flashing and bright lights. Turn on the stereo, radio or television. The sound of soothing music or human voices can be reassuring and can mask the noise from fireworks. Offer a fun chew toy or delicious, natural beefhide chew as a reward, a distraction, and a stress reducer. Chewing has many benefits. During fireworks, chewing on long-lasting USA-made Pet Factory beefhide chews can provide much-needed relief from stress. 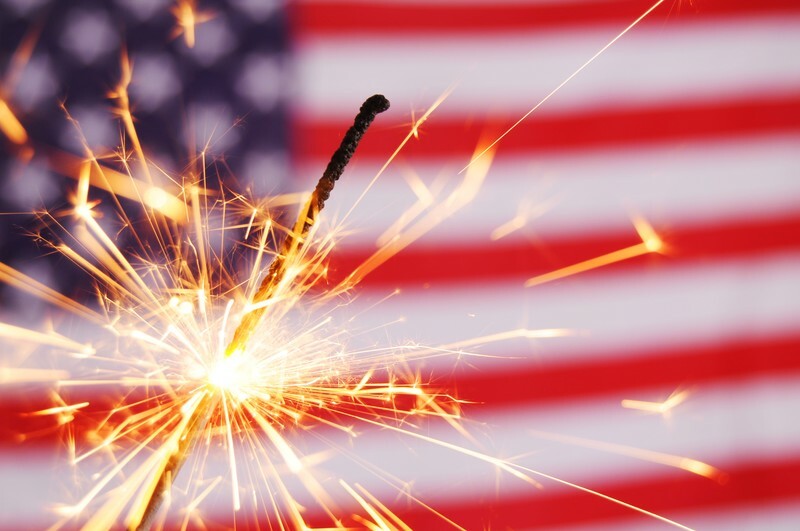 Fire and fireworks can cause serious burns, so be alert to hazards around the Fourth of July. Hot temperatures in July can be dangerous to pets and people. Don’t leave your dog alone in a car or other place where temperatures can reach dangerous levels. Have water available at all times and stay hydrated yourself. Keep an eye on your dog at parties and barbeques where they may get into foods and other things that could be harmful. Chocolate and other common foods can be toxic to pets. Instead, offer USA-made Pet Factory natural beefhide chews to satisfy their appetite and their need to chew. Fire and fireworks can cause serious burns. Be alert to situations where they may be present. Dogs may bolt from the yard if they are afraid of fireworks and other Fourth of July activities. In the process, they may get confused and lost. In fact, more dogs end up in shelters on July 5th than any other day of the year. If your dogs are running loose, they may get hurt, or worse. Keep your pups safely at home. Here are some additional fireworks and pet safety tips for the Fourth of July from animal care experts. Treat your patriotic pups to Pet Factory USA-made beefhide chews! Treat your patriotic pups to a safe and enjoyable star spangled celebration. And make sure to include Pet Factory USA-made beefhide chews! Dogs love our delicious, long-lasting chews. They are made in US food-grade facilities, so you can be assured of their quality and safety. Pet Factory chews come in a variety of shapes, sizes, flavors, and textures to suit every dog. This Independence Day, treat your All-American dog to Pet Factory beefhide chews – they’re as American as baseball, hotdogs, and apple pie!